This black tea has the wonderful, crisp taste of lemon with the spiciness of pepper! Our Lemon Pepper Mélange has a taste that will let you know that spring is on its way! I won an ounce of Lemon Pepper Melange from Della Terra Teas on their Facebook page. If you do not follow Della Terra on Facebook I suggest that you do. They often run drawings for tea, and always post their most current sale there. Anyway, I was the lucky winner of this tea and I love it, not because it was free, but I really love it. So what is wrong with this picture? Well the fact is, it has lemongrass in it! Some of you may know how much I despise lemongrass. This is not a tea I would have ever paid for in a million years, so it is a good thing I won it because I would have been short changing myself from a stellar tea! This tea is so perfect. The lemon is the obvious leading role in this blend but the pepper and spices give it a nice kick. Some of the spices in this tea remind me of a chai blend, while others a fruit tea blend. This would be delicious on the holidays, but I am thinking it will be an amazing tea to drink iced this summer too. This is so fresh, lemony without being sweetened, which is nice because the fruits give off the perfect amount of sweetness naturally. There are very nice spicy notes here too, and the pepper kick is the right amount. It tastes very fresh and is refreshing as well. A great morning or anytime tea. You know, really the lemongrass does not bother me at all in this blend. I really do not notice it is there and trust me I have tried to find it! In a way, and this may sound bizarre, but I believe it is the lemongrass giving tea blend an almost bubble gum like flavor at the very end of the sip. Not that I have ever thought lemongrass, on its own, taste anything like bubble gum. But with all of the fruits, the spices, the black tea, somehow at the end of the sip I get this bubble gum type note that I really feel comes from the lemongrass. Maybe I just convinced myself of that. Anyway, for someone who has literally sworn off ALL lemongrass teas, Della Terra has opened my mind, my eyes, and my taste buds. I tell you what though, if anyone could do this it would be Della Terra as they have some of the most stellar tea blends. Now I do not feel I will be trying every lemongrass blend I come across or anything, but Della Terra does have a few others I have skipped over that I think I will give a try now. Maybe in one of their Try Me packs. Green leaves, dark-red blossoms and bright fruits shine intensively. Truly a feast for the eyes. 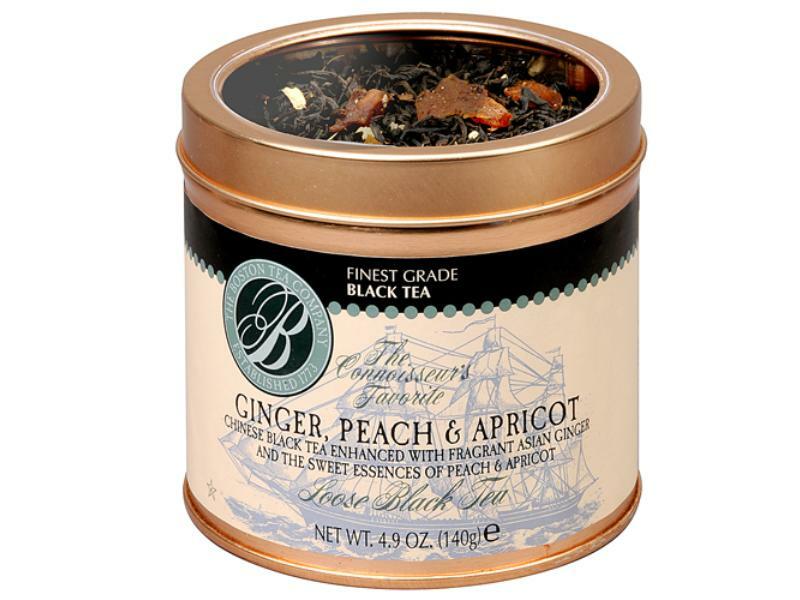 Thanks to some select, dried fruits and plants, this herb tea blend has a sweet taste and is very aromatic. In the background hibiscus and ginger softly unfold their typical characteristics. Fruity sweet and spicy fresh flavors ennoble this blend. Ingredients: Apple pieces, rose hip peel, hibiscus, wild strawberry leaves, lemon myrtle, sweet blackberry leaves, flavoring, ginger pieces, strawberry slices. This is VERY tasty and refreshing! It’s mostly strawberry with a small amount of ginger underneath. It’s not an artificial strawberry and I am very happy about that. It’s almost like water with fresh strawberries in it! If you can ‘picture that’. The other ingredients such as the apple, hibiscus, blackberry leaves, etc are all very mild but blend together nicely for the overall flavor. I enjoy this both hot and cold! A tasty cup any time of year!